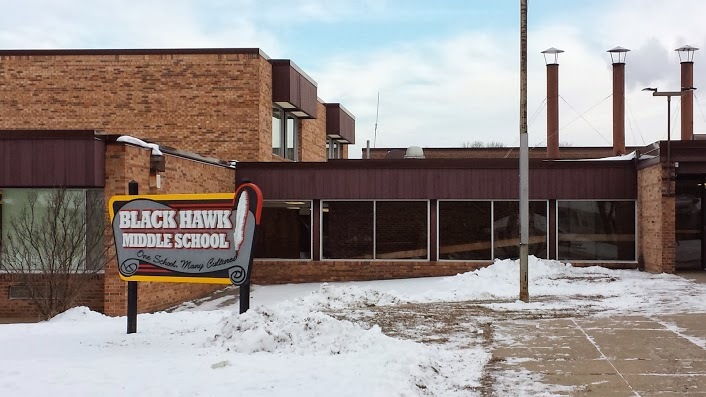 Listed below are homes for sale in Lerdahl Park, a neighborhood located in North Madison, WI. Listings are updated multiple times a day from the SCWMLS. For more information about any of these Lerdahl Park homes for sale, just click the "Request More Information" button when viewing the details of a property. We can provide you with disclosures, past sales history, dates and prices of homes recently sold nearby in Madison, and more. And, for your convenience, register for a free account to automatically receive email alerts whenever new Lerdahl Park listings come on the market that match your search criteria. Troy Gardens to the north; Chicago Northwest Railroad to the east; Lake Mendota to the south; Harper Road to the south. Lerdahl Park neighbors enjoy sunsets over Lake Mendota and long walks through the rolling hills of Warner Park. Nestled along the northern banks of Lake Mendota, Lerdahl Park offers close proximity to nature, schools, parks and jobs. All the amenities of city living are available in this quiet, isolated residential community on Madison’s north side. Neighbors are active and maintain Troy Community Gardens along Troy Drive and organize block parties each September. City efforts to revitalize Madison’s north side have also brought sweeping changes to the area’s main thoroughfares. Pedestrian paths have been added, sidewalks have been widened and bike lanes have been added to Northport Drive, located just north of Lerdahl Park, and to Sherman Avenue and Packers Avenue. Those efforts are part of a larger city effort to give Madison’s north a distinctive brand as a gateway into the city. Much of the development came to the north side of Madison in the 1950s and 1960s. The Lerdahl Park neighborhood was primarily built in the mid 1960s around the heavily forested northern cove of Lake Mendota. Many of those trees still stand today, which enables the neighborhood to blend into its natural surroundings. The housing stock here includes lakefront homes along Woodward Drive, as well as more modest single-family homes to the north. The majority of the single-family homes in the neighborhood are located in a residential pocket south of Troy Drive. The area north of Troy Drive incorporates green space, multi-family dwellings and a commercial area. 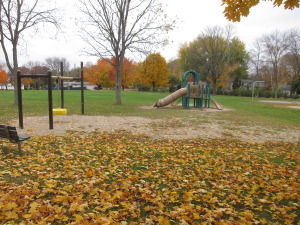 Warner Park is located east of Lerdahl Park, which lends the neighborhood a quiet and peaceful atmosphere. With Warner Park located east of Lerdahl Park, neighbors have a short stroll to enjoy an extensive network of trails there. Warner Park is also home to the Madison Mallards semi-professional baseball team and some of the most spectacular places to enjoy a sunset over Lake Mendota. And with Lerdahl Park located in the center of the neighborhood, wherever you make your home here, you’ll be within blocks of a park. Mendota Elementary is just east on Woodward Drive. Northport Drive offers fast access to commercial areas, including the vibrant East Washington Avenue corridor, and East Towne Mall, which is about six miles east of the community. Downtown Madison is less than six miles south, and Sun Prairie is about 12 miles north of Lerdahl Park. For information about finding a home in the Lerdahl Park neighborhood or to sell your Lerdahl Park home, contact our team for a better real estate experience. 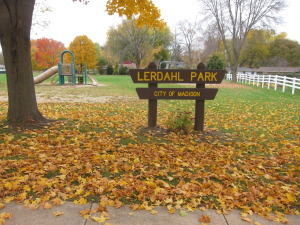 The Lerdahl Park neighborhood is located on the North Side of Madison in MLS area Madison – E03. Below are more homes for sale in that area.